You’ve finally reached the golden years of retirement. Like many retirees, you may be thinking about downsizing your home. Though this is a popular choice, it’s not necessarily the best choice for everyone. There are a lot of things to consider from a financial standpoint as well as your lifestyle. You may want to stay in your current home. Maybe now is the time to hire one of the best custom home builders in NC to build you the dream home you’ve always wanted with plenty of space for the grandkids to visit. If you’re having trouble deciding, keep the following things in mind. It may seem like a wise financial move to sell your home and move into a smaller home. You expect a lower mortgage payment, cheaper utilities, and less home maintenance to worry about. However, this is not always the case. Consider your current cost of living and compare it to the area you are considering moving to. If you are making a big change in communities, you may find that your cost of living could actually go up. Do you expect visits from children, grandchildren, and other family members? Will you have enough bedrooms and bathrooms to accommodate everyone during the holidays? If your house tends to be the gathering place for family get-togethers, downsizing may not be the best choice. In fact, you may even need to upgrade to a larger home after retirement. Is it your goal to age in place? Do you want to stay in your home for the rest of your life, or do you expect to move again in the future when you may find it more difficult to get around? Staying in your own home may not be possible if it is not equipped for advanced aging. This is where building a custom home in retirement can be a wise choice. Your home can be designed and built to be wheelchair accessible, have an elevator, an open floor plan, or consist of a single level. Aging in place is more feasible than ever with state of the art home design. If you wish for a certain lifestyle in retirement, your home is a big part of that. Think about how you want to spend your retirement and plan your home accordingly. R&K Custom Homes can build your dream home with all of the features you want and the details you need to retire the way you have always wanted. 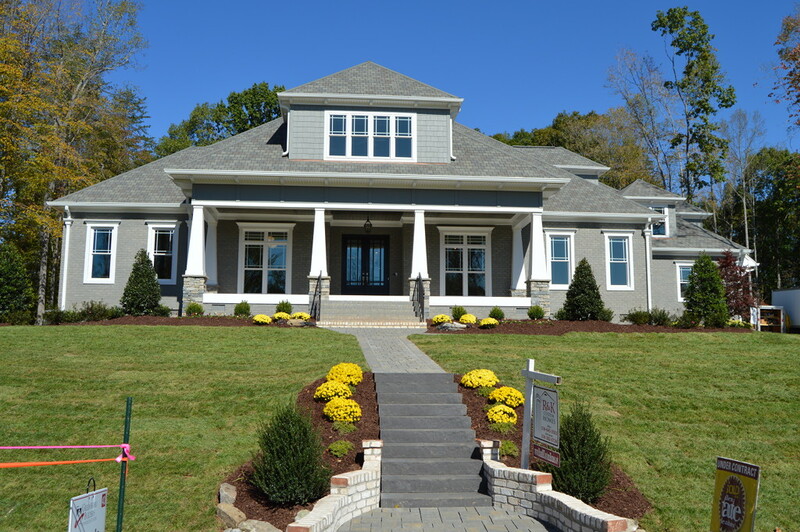 R&K builds on ready-to-build home sites in some of the most desirable neighborhoods in Greensboro, Oak Ridge, Stokesdale, and the surrounding area. Convenient to the city with all the beauty and fresh air of the country, your retirement can be relaxing and fun. Build your dream home as part of your dream retirement lifestyle with R&K Custom Homes. Call (336) 643-3503 for a free consultation.